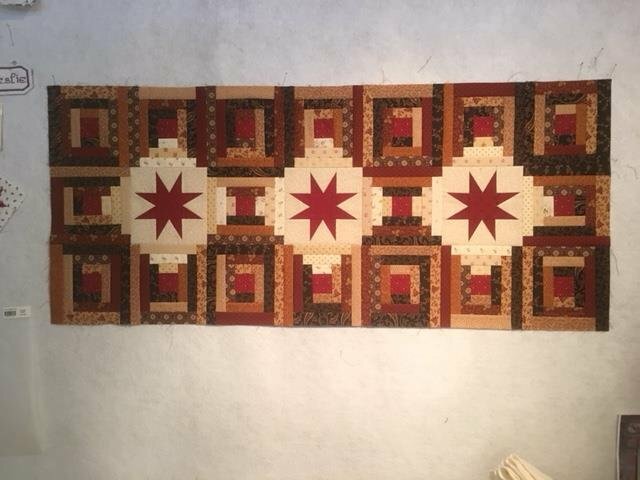 This Cut Loose Press pattern can be used to make an exquisite table runner, bed runner or full size quilt. Both the 6" Creative Grids Log Cabin ruler and the Strippy Stars Tool (5" x 7.5") will guarantee an easy and accurate outcome. Learn to use these two rulers that can be used for many projects in the future. Rulers and pattern purchase required.